I have been thinking about doing this post for quite some time; yet I don’t know why I usually just don’t feel like writing about any event from my life, rarely in simple words. I opt to write my thoughts down as poetry, always prefering berevity.Even in poems, I’d say that I don’t usually like long poems. Not that I’m not good at prose; whenever I start writing, I never feel difficulty in putting into words what goes through my mind, however complex those thoughts might be. WordPress always boosted my confidence in my poetry, each and every comment and even like has been putting a smile on my face. But appreciation at a higher level always gives a new high to your self confidence, doesn’t it? I don’t believe in participating in poetry competitions etc, for I believe that even the best of judges can not judge the true beauty behind the words that one might have written. For me the beauty does not lie in words, sentences, verses or the way any of these might have been put together to form a bouquet of words. For me beauty lies in the thoughts behind those words, sentences or verses. Nonetheless; I once saw a post on the facebook of US Consulate Karachi, announcing a Twitter Poetry Challenge with the theme being “Freedom of Expression”. The conditions were that the poem must be tweetable. A stanza of a poem I’d written earlier came to my mind when I saw that post and so I simply submitted it, never even thinking it would even be accepted. Yet one morning, I got a call from US Consulate Karachi, informing me that I’d won the contest by voting on fb. I’d not even followed up to check if it were up for voting (otherwise I might have “requested” my friends to vote for my poem). That was a moment quite a moment to be proud of. Later on, I and the other winners were invited to Consul General’s Residence on a concert of a Country Music Band coming to Pakistan named “Blended 328”; quite a nice one. The other band coming there was local Sindhi band, “The Sketches”, one of my favorites actually. I found quite a lot of people I knew already there. It was a fun night. 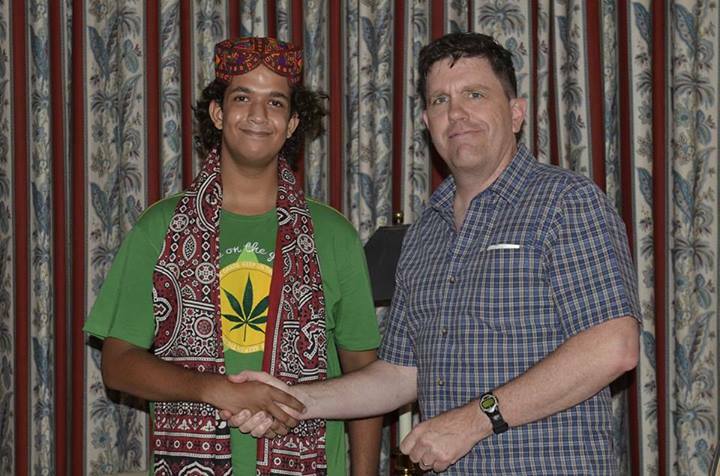 Mr. Consul General Michael Doddman gave Ajrak & Topi to the winners (I didn’t even know till then that I held the first positions; Yep, I’m that aloof to whatever goes around me.) He’s quite a humble and a nice person. We’d a little bit of discussion on poetry then. After the concert had finished, He and I again had a really nice chit chat about the show and what I did etc etc. 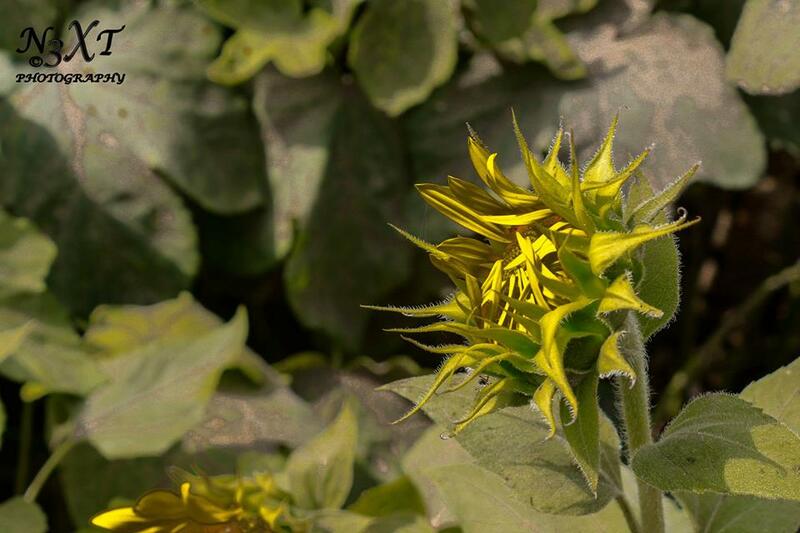 The stanza I submitted belonged to this poem (The 1st stanza): A Bouquet of Words. So I opened my pen’s lid. And I penned my thoughts candid. And give tongue to my mute mind. This meant a lot to me; having been nominated for countless “Awards” that go around wordpress, It’s been long since I stopped doing award posts. Still, I’m thankful to each and every single one of readers who come and drop by my humble wordpress abode. You’ve all contributed to my betterment; I’m still learning and I’ve learnt quite a lot here on wordpress too. I’m also grateful to those who keep nominating for all kinds of “WordPress Awards”, you all put a smile on my face. To each and every writer here, who might sometimes feel small for there’re countless others like us out there, I’ll simply dedicate this haiku. FB Link to group Photo.